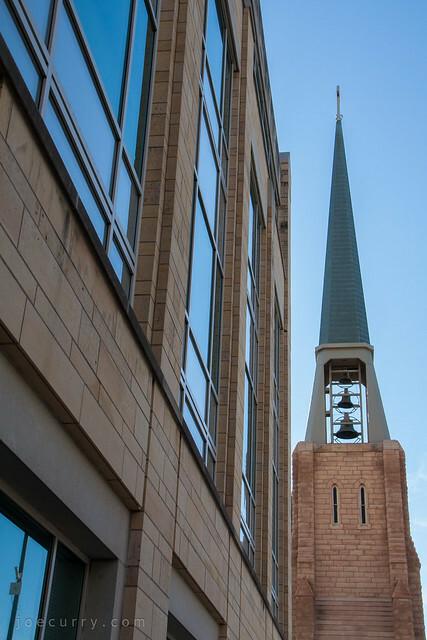 I pass by First Baptist Church, next to the University of St. Thomas Law School, quite often. Though, I’ve never heard the bells. Neither did I today. This entry was posted in Minneapolis by Joe Curry. Bookmark the permalink.